Lost: About the happy times in Season One. Lost: Like the others it is like a trailer. I did it in june 2005 so season 1 only for this one. Lost: A farewell vid about Shannon and the sadness of her short life. Lost: Charlie and Claire explore their feelings for each other as well as their relationship status. Is it all or is there more to their friendship? 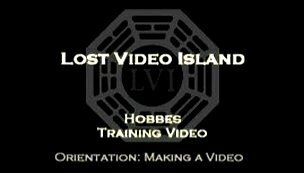 Lost: The Lost Monster looks at the people on the island with contempt and sets out to make their lives a misery. Lost: Kate laments the fact that she cant seem to settle down. Even on the Island she feels born to run. Lost: Boone and Shannon were only ever pawns in the greater scheme of things. Lost: Michael really wants to fly away from the island. Lost: Skate - lighthearted, fun and flirty! Lost: A vid about Jin and Sun and their troubled relationship.